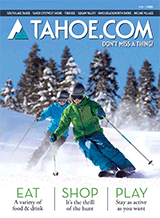 Around Tahoe ™ is Lake Tahoe's Audio Tour App! Hands-Free GPS Tracking self-guided audio tour. Go Around Lake Tahoe and the App will automatically play audio about Legends, Famous Movies, Unique History, Immense Wealth and Amazing Facts!